Don’t Miss A Book Signing Event this Saturday, Featuring 2 Richter Publishing Authors at the Hudson Public Library! This Saturday make your way out to the Hudson Public Library, located at 8012 Library Rd. From 1pm – 3pm book enthusiasts will have the opportunity to get their books signed by numerous authors including two of Richter Publishing’s own! In this true story, Dr. Karen A. Kelly M.D. shares her husband’s journey through a life-saving lung transplant. Learning about his courageous battle can help any patient or caregiver understand the extensive responsibilities required for a successful organ transplant. As a pediatrician, Dr. Kelly found herself in a different role as caretaker not as provider. Her experience highlights the vital importance of taking care of oneself in order to adequately care for a sick loved one. She also stresses the importance of stopping: to rest, to take a deep breath, to laugh, and to rejuvenate. The Kelly’s story sheds light on the shocking realization that 120,000 people in the U. S. right now are waiting for an organ transplant and that twenty of those people will die every day waiting on the “list” for a stranger to decide to be a hero. Amazon Best Seller – This book is to help other personal injury survivors contemplating litigation, or already involved in litigation. You should be able to navigate these troubled waters ever so slightly easier because of our experience and advice. Karen and Michael are hopeful that plaintiffs’ attorneys will see the benefit of providing this book as a teaching tool to their clients so as a team you can win your case! Comments Off on Don’t Miss A Book Signing Event this Saturday, Featuring 2 Richter Publishing Authors at the Hudson Public Library! Learn How to Become an Amazon Best Seller with Tara Richter & Karen Mertes! When asked, most people have the desire to write and publish a book. Why not make it a Best Seller? Karen will share valuable tips that led to the success of her book, “Plaintiff 101,” which achieved #1 Amazon Best Seller last September. Karen and I will share secrets of successful strategy, explain the process, and answer any questions so you too can become an Amazon Best Seller! What to Consider when Designing and Creating your Amazon Best Seller campaign. Increase your Bottom Line with an Action Plan for Leveraging your Book’s Success for even Greater Profitability. 11:30 AM – 12:00 PM – Registration and Networking Presentation promptly begins at 12 noon. **Lunch provided with paid registration before March 23, 2016. Karen Mertes is a Professional Speaker; Award Winning, Best Selling Author; Certified Entrepreneur Coach; Certified Leadership Coach; and Certified Women’s Issues Consultant all to benefit Fulfill Your Destiny. Comments Off on Learn How to Become an Amazon Best Seller with Tara Richter & Karen Mertes! 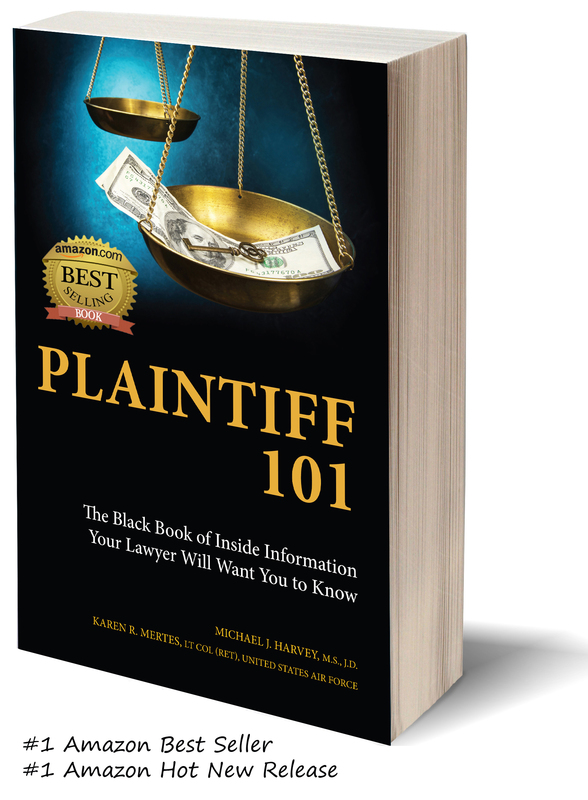 “Plaintiff 101” is now available on Kindle – Get it on Amazon Today!! As my life hung in the balance after a tragic car accident caused by a drunk driver, I promised to spend the rest of my life helping others if I were to survive. Despite sustaining a traumatic brain injury, I am the founder and president of Fulfill Your Destiny, Inc., a 501(c)(3) non-profit dedicated to helping people whose careers have been altered by injury or other unforeseen circumstances. This book is to help other personal injury survivors contemplating litigation, or already involved in litigation. You should be able to navigate these troubled waters ever easier because of our experience and advice. We’re hopeful that plaintiffs’ attorneys will see the benefit of providing this book as a teaching tool to their clients, so as a team you can win your case!